An event created by a presenter of the BBC science programme Tomorrow's World is being held to promote science and technology to teenagers. 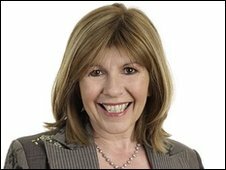 TeenTech was the idea of Maggie Philbin, famous for her work on the long-running former flagship TV show. Three hundred teenagers from 22 schools will try experiments, design prototypes and learn about career opportunities. Leading technology companies, such as BT and IBM, will be at the event at the Madejski Stadium, Reading, on Friday. Ms Philbin said a group of teenagers she once met could only name Einstein when asked to identify a modern scientist, engineer or technologist. "All over the UK, teenagers are sitting in classrooms convinced there's no need to make an effort with science and maths because they're going to be famous," said Ms Philbin, who now works at BBC Radio Berkshire. "They dream about owning the latest gadgets, but few consider they could be shaping the future themselves. "Working on Tomorrow's World allowed me to meet many brilliant and engaging people behind inventions. "TeenTech does the same for young people before they make critical decisions over GCSE choices." Companies responsible for producing technology that affects young people will bring their engineers and kit to show students how they could be the ones designing and developing the technology of the future. The teenagers will get the chance to speak to representatives from companies including JVC, 3M, Vodafone, Sky and Thames Water. Professor Averil Macdonald, from the University of Reading, said: "There's no doubt that the UK will rely heavily on its scientifically-trained workforce in the next few decades."